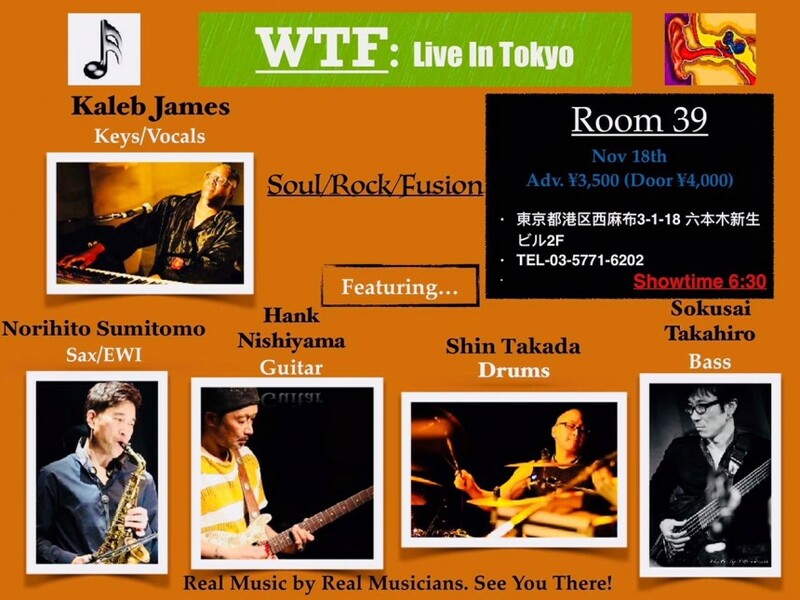 A regular on the Tokyo music scene, Kaleb James is back with a lineup of incredible collaborative shows this November! The New-York-born musician has performed with an array of artists, including SMAP and Mariah Carey, proving himself a stamp of quality on live shows. This time, the keyboardist and singer will be playing with Norihito Sumitomo (Sax, EWI), Hank Nishiyama (G), Shin Takada (Dr) and Sokusai Takahiro (Ba). Performing with both foreign and local musicians, James will be displaying his adaptability with a range of genres including funk, rock and fusion. In addition Metropolis is happy to announce that we are holding a raffle with two free tickets to the show. It will be a guaranteed good night of incredible music!